Kid Koala in tha house! Dope!!! the live mix by kid koala is soooo cool ! Kid Koala celebrates the launch of Floor Kids with a 3-turntable live mix of careening breaks, hazy indie rock, wailing blues licks and booming 808s. Plus stripped down modern funk from XL Middleton and High Park Funk, irresistible UK jazz-hop from Blue Lab Beats, and white-hot Funky Drummer remixes by Ahmed Sirour and DJ Muro. 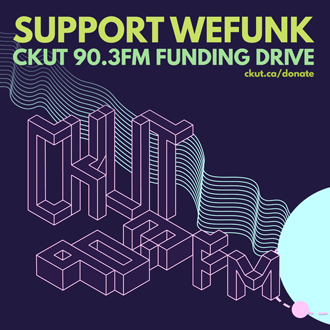 DJs & GUESTS Professor Groove, DJ Static, Kid Koala / RECORDED November 30, 2018 / HOSTING PJ, Mike, Oliver & daduke. You can help too!